We’ll be there for you… every step of the way! 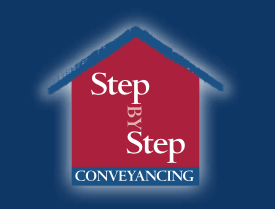 Step by Step Conveyancing also provide a free mobile service where we will come to you at a time and place convenient to you. Step by Step Conveyancing is located in the Hills District of New South Wales and uses modern technology to service all areas of NSW including, Kellyville, Castle Hill, Rouse Hill, Dural, Kenthurst, Pitt Town, Windsor, Blacktown, Hassall Grove, Mt Druitt, Glenwood, Stanhope Gardens, Kings Langley, Baulkham Hills, Winston Hills, Northmead, Parramatta, North Parramatta, North Rocks, Norwest, Hills District, North Shore, Chatswood, Ryde, Beecroft, Epping, Eastern Suburbs, Central Coast and the Blue Mountains.